This amazing tour offers 100% guaranteed adrenaline combined with some very romantic views! To reach the destination of the zipline tour, we will travel through the mountains, rainforest and across small rivers on our UTV’s. On the canopy site you will find zip lines up to 500 meters long, displaying to beauty of the forest from the top of the trees. 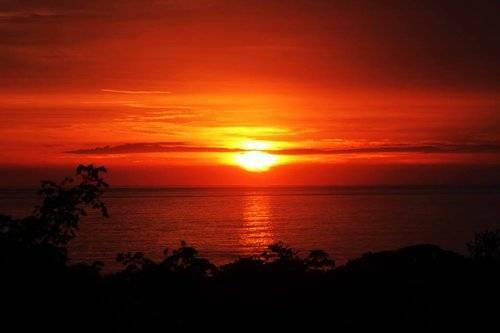 After the zipline adrenaline, we will head back and watch one of the best sunsets on the Pacific Coast from a secret lookout point in the mountains of Tamarindo. From there you will be able to see Playa Tamarindo, Playa Langosta and even all the way to Playa Grande.